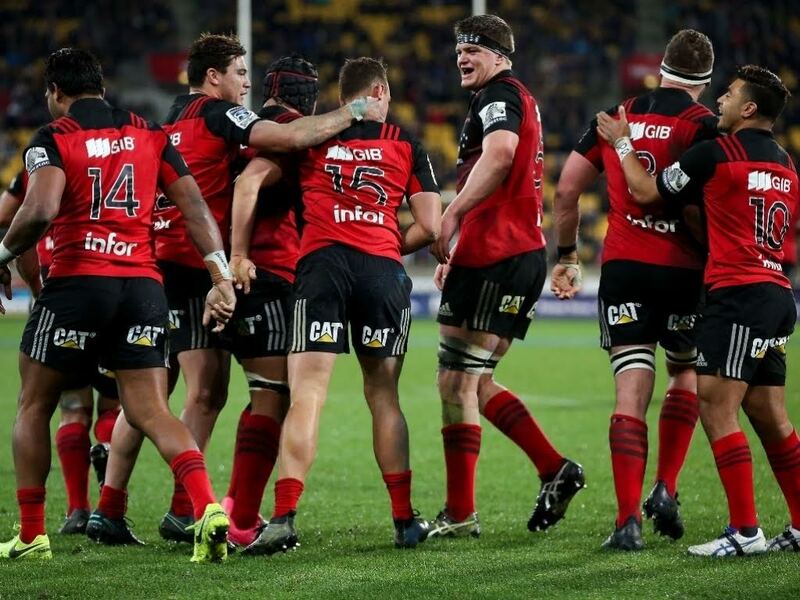 New Zealand’s five Super Rugby franchises, the Crusaders, Hurricanes, Highlanders, Chiefs and Blues, have confirmed their squads for the 2018 season. A total of 190 professional players have been signed for the new season – 38 for each of the New Zealand Super Rugby clubs – the Blues, Chiefs, Hurricanes, Crusaders and Highlanders. There are nine sets of siblings – the Barretts, Beauden and Jordie (Hurricanes), and Scott (Crusaders); Rieko and Akira Ioane (Blues), Anton (Chiefs) and Daniel (Highlanders) Lienert-Brown; Damian and Marty McKenzie (Chiefs), Dan (Highlanders) and Kara (Blues) Pryor, Ardie and Julian Savea (Hurricanes), Sam (Crusaders) and Luke (Highlanders) Whitelock and twins Peter (Hurricanes) and Thomas (Highlanders) Umaga-Jensen and Jack (Crusaders) and Josh (Blues) Goodhue. 13 of those named were part of the World Champion winning New Zealand U20 side – Dalton Papalii, Stephen Perofeta, Caleb Clarke and Tamati Tua (Blues), Tiaan Falcon and Luke Jacobson (Chiefs), Alex Fidow, Asafo Aumua and Isaia Walker-Leawere (Hurricanes), Braydon Ennor and Will Jordan (Crusaders) and Thomas Umaga-Jensen and Josh McKay (Highlanders). Among some of the unfamiliar faces, are some names very familiar to New Zealand rugby – the more well-known of them being Blues brothers Akira and Rieko Ioane, sons of former Black Fern Sandra Wihongi, Caleb Clarke (son of All Blacks Eroni Clarke) has been picked up by the Blues, Jackson Garden-Bachop (son of All Black Stephen Bachop) who has been picked by the Hurricanes after an outstanding Mitre 10 Cup season, Bryn Gatland (son of Wales and British & Irish Lions coach Warren) returns to the Blues, while Ethan Blackadder, who has been plying his trade with solid season at the Tasman Makos, has been signed by the Crusaders, the team his father Todd, had previously coached. Pari Pari Parkinson, nephew of Maori All Black and Bay of Plenty legend Matua Parkinson, is a new signing for the competition and the Highlanders. Caleb Clarke gets another mention in the record books – at 18, he will enter the 2018 season as the youngest contracted player, with Tasman stalwart and captain, Alex Ainley returning for another season with the Highlanders, and who at 36, is at the other end of the birthday list. Another seasoned veteran – Mike Delany, who last played Super Rugby in 2011 for the Chiefs, has come back from a stint overseas to play a critical role for Bay of Plenty in this year’s Mitre 10 Cup, and earning himself a seat at the Crusaders’ table. New Zealand Rugby’s Head of Rugby, Neil Sorensen, congratulated all the coaching and management teams and all 42 new players. “There is no doubt that New Zealand talent is the most exciting on the planet,” Sorensen told the All Blacks’ official website. “Congratulations to all those picked for the first time – this is a special time for them and their families.